Continuing the Simon & Kirby Library, restored by Harry Mendryk. From the Golden Age of the comic book era comes a collection of tales that thrilled readers and appalled a nation! Their work in Black Magic was acclaimed by readers. It was held up on national television by the Senate Committee on Juvenile Delinquency, where experts claimed Black Magic contributed to the corruption of American youth! 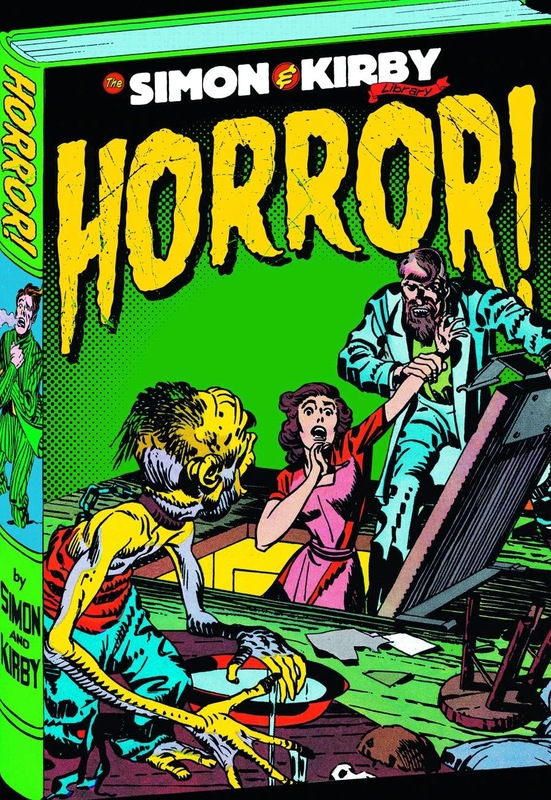 Also included here are the Simon and Kirby stories from the experimental terror title Strange World of Your Dreams. For the first time, all of the stories written and drawn by Joe Simon and Jack Kirby themselves, as well as a selection of rarely seen collaborations, are collected in one huge hardcover edition. New/Old Kirby in the shops 1 YEAR AGO TODAY.